Local newspapers and publications are one of the most underappreciated resources for tourists of any city, so if you're planning a trip to Philadelphia, you should check local listings in these publications before you go so you'll know what's happening in and around town during your vacation. 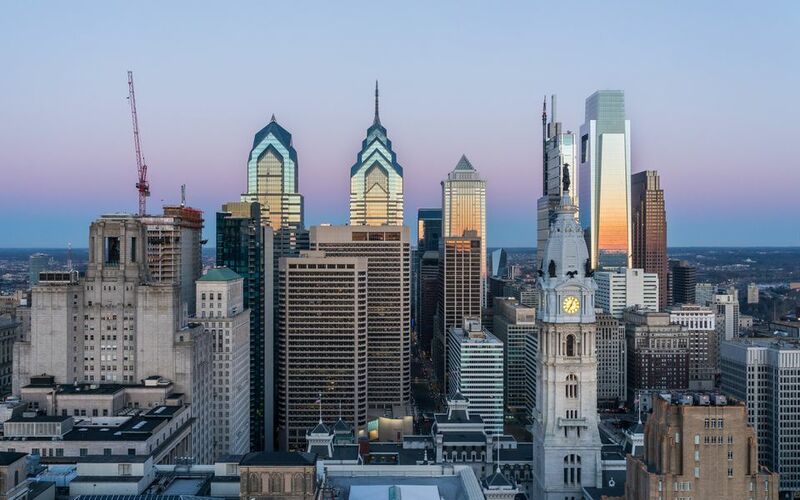 From the daily Philadelphia Inquirer to the bevy of neighborhood-specific and special-interest weeklies, you can browse any number of publications coming out of Philadelphia to stay in tune with what's happening in the City of Brotherly Love. Although many on this list are free, some of the larger publications offer only a limited number of articles per month before requesting you pay to use their online resources. Alternatively, you can also pick up physical copies of some of these publications at local grocery and convenience stores as well as at the publications' offices. When it comes to knowing exactly what's happening every day in Philadelphia, one of the best ways to read up on daily events is to pick up a daily newspaper. Metro Philadelphia, for instance, is a Philly edition of this free paper that provides local and national news on weekdays and is one of the easiest to find in your morning commute on the city's public transit system SEPTA. Alternatively, the Philadelphia Daily News is a daily tabloid paper focused on local and federal news, sports, and gossip while the Philadelphia Inquirer is the largest paper in Philly and offers a variety of local and national news including regular sections on food, style, and special events. Published once per week, newspapers like Philadelphia Business Journal and Philadelphia Gay News offer more all-encompassing coverage of events, happenings, and restaurants popping up in Philadelphia. Philadelphia Weekly is a free publication distributed around the city and has a strong focus on arts and entertainment in addition to local news coverage. Meanwhile, Philadelphia Gay News focuses more on the goings on of the LGBT community, Jewish Exponent covers events and news related to being part of Philadelphia's large Jewish community, and the Philadelphia Tribune serves the African-American community of the city. Philadelphia also has three publications that cater to Spanish, Chinese, and Vietnamese visitors and residents. Al Dia ("Up To Date") is a Spanish-language paper focused on the Latino community of Philadelphia, which routinely covers some of the city's major Hispanic heritage-themed events and attractions. Meanwhile, Metro Chinese Weekly is a Chinese-language paper available throughout the Deleware Valley and Metro Viet News serves the growing population of Vietnamese Americans in the Greater Philadelphia area. Written by college journalists and available for free on each college's campus, these school papers feature university and local Philadelphia news. Their publishing schedules are dependent on the particular school but typically come out at least once a week. The University of Pennsylvania, the largest university in the city, offers students and visitors alike local events, restaurant guides, and student journalism from their daily publication Daily Pennsylvanian while Temple University's The Temple News is printed every Tuesday. If you already know which neighborhood you'll be visiting on your trip, there are several Philadelphia neighborhood newspapers, most of which are free and delivered on a weekly basis, though the "Community" section on Philly.com offers neighborhood-specific stories from Northeast Times and the Star. Residents in South Philly receive the South Philly Review community newspaper every Thursday while residents of Fishtown, Northern Liberties, Port Richmond, and Bridgesburg (in North Philadelphia) get the Spirit Community Newspapers and residents of University City and West Philly get their local news from University City Review.